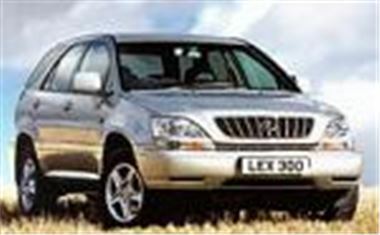 This week's Deal of the Week from www.showroom4cars.com is the Lexus RX300 3.0 SE Auto (see road test on this website), with the easy to use touch-screen Navigator sat-nav system, for just £30,499 on the road - a saving of £4,766 on UK list price. The vehicles are available on a 4 week delivery, in platinum ice metallic, with black Pembroke leather, and feature Lexus full 3 year pan-European warranty. More information at www.showroom4cars.com, or from the sales hotline on 0870 753 4444.